Read the story, then use the included hair accessories and follow the instructions to add some Sunny Day style to your life! Meet Sunny, a stylish and creative young entrepreneur who owns her own hair salon. Along with her best friends Blair, Rox, and her pup, Doodle, Sunny can solve all sorts of problems that pop up, and with panache! This storybook gift set comes with a Sunny Day clip-in rainbow hair extension, two glitter hair clips, and a heart-patterned scrunchie. 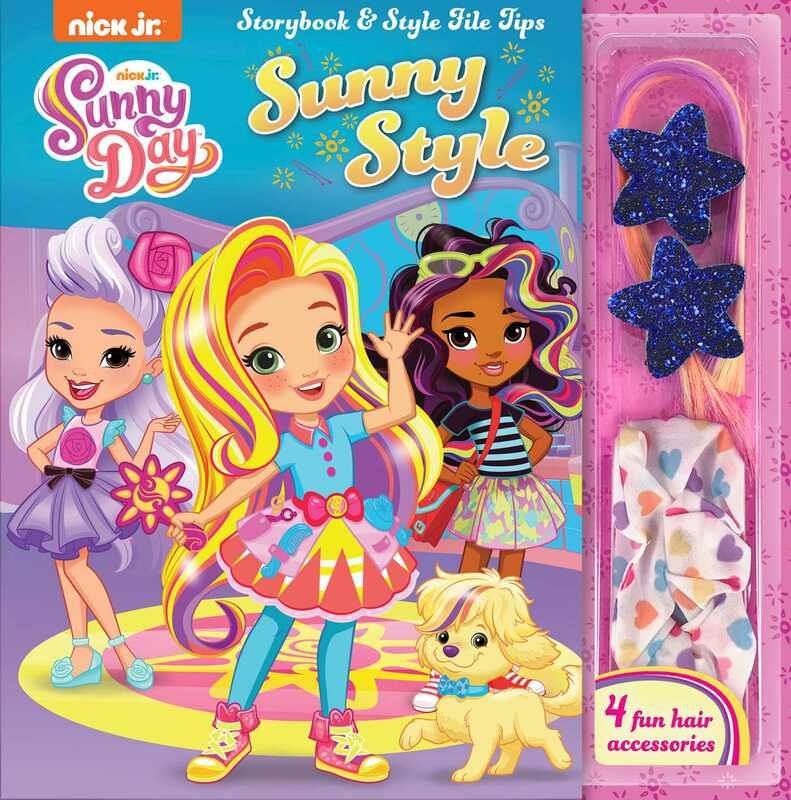 Read the story of Sunny and friends, then follow the included instructions to do your own ‘do, Sunny style! Marilynn James loves to spend her days watching cartoons with her favorite sock monkey. Sometimes she even gets to write books about them!